This face makes me feel so very lucky. Maybe you’re not quite there yet because your pup is still peeing and pooping everywhere. Perhaps you couldn’t find your glasses this morning when your unsocked foot landed in the middle of a hot, squishy log of dog poo. You’re not feeling very lucky at all, to be quite frank. Maybe you’re feeling marginally lucky that it wasn’t cold dog poo. We’re very lucky, though. We’re lucky that dogs have a natural instinct to avoid soiling their own bed. That’s why crates are a puppy owner’s secret weapon for potty training. You can use a crate to prevent accidents from happening. 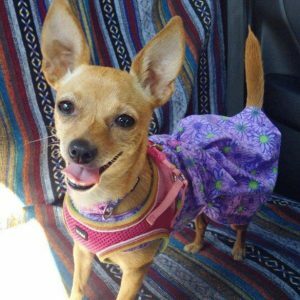 The fewer accidents your dog has, and the more successful pee and poops she has outdoors or on her potty pad, the closer she’ll be to being reliably and completely potty-trained. You may decide to use your dog’s crate for the rest of her life. She can sleep in it at night and whenever you’re not home. She can be taught to love her crate, and will seek it out on her own whenever she needs a quiet, personal space of her own for relaxing and sleeping. But a crate is useful during potty training even if you don’t plan to use it as much. Matilda only spent time in her crate when we left the house for short periods of time, and when I couldn’t watch her to be sure she didn’t have an accident. I especially found it useful when we were transitioning from puppy pads to outside. If we went outside, but she did not relieve herself, she would spend some time in her crate before going outside again. Once she had a successful potty trip, she could spend time playing in the living room instead, as long as I could supervise her. Now that she’s grown, Matilda’s crate is in storage somewhere. There’s no dangerous household chemicals within her reach, and she’s never been a destructive dog. While I sometimes leave a potty pad out for her, she always waits until we come back to take her out. You might also decide your dog does not need a crate once she is reliably potty-trained, but for now, you’ll find it very useful. Crate your dog any time you think she might have an accident, but you cannot watch her. That way, she won’t have a relapse in her training every time you, realistically, cannot keep an eye on her. Most dogs, most of the time, won’t pee or poop where they sleep – but your pup, of course, is a little unicorn. A stinky little unicorn. And so, here you are, tossing those blankets in the washing machine and wondering where you went wrong. If you need to safely confine your dog for longer than she can “hold it,” try a gated play area with a puppy pad or newspapers. Her crate is too big, so she’s using one side as a toilet, and the other as her bed. You can use a crate divider to make her sleeping space smaller, then remove the divider when she grows. She couldn’t hold it. You either need to take her out more often, or give her more potty access. This may mean keeping her open crate in a bathroom or enclosed space, with potty pads available. She can’t communicate with you. Most puppies bark when they need to get out of their crate to go potty. Your dog might be afraid to speak up. Maybe she was scolded for barking in her crate – or maybe she gave up when nobody answered her cries. Peeing in a crate could also be a sign that your dog has a urinary tract infection (UTI). Your dog doesn’t have to be obviously straining to go or passing traces of blood to have a UTI – if you see any sudden changes in potty habits be sure to get your dog to the vet ASAP. A UTI can be very painful, and while it’s simple to detect and cure, it can quickly get worse if left untreated. Repeat crate accidents may occur if your dog’s bed smells like a toilet to her. Dogs like to relieve themselves where they can smell their own previous poop and pee. So, you’ll need to completely eliminate all traces of her wastes in her crate. Make sure to thoroughly clean your dog’s bedding. Spray it down with an enzymatic-based cleaner like Out! – this stuff eats up the organic matter so there’s no traces of scents that could attract her to relieve herself in her crate again. If possible, use new bedding and move the crate to a different area of your house (or at least a few feet away) to give your pup a fresh start. If she’s given enough opportunities to relieve herself, she may begin to see her crate as her den, and her instincts may kick in to avoid soiling it. Your puppy needs to be allowed to bark in her crate to let you know she needs to go out. That’s why it makes no sense to yell at your dog or thwap her crate with a rolled-up t-shirt – even if it really does shut her up. I think most people know that, but can’t help themselves at 3 AM when puppy has been screaming like a banshee for hours. You need to make puppy feel safe in her crate. That blood-curdling screaming is a symptom of her insecurity. You might be tempted to isolate her, keeping her crate away from your bed so you won’t hear her – so you can finally get some shut-eye. She’ll eventually stop crying in her crate when she realizes you’ll never answer her cries. But she won’t be able to communicate with you when she actually needs you. Having your dog “cry it out” like that is extremely stressful for her. Instead of a place to feel safe and calm, her crate becomes a prison of isolation and bad feelings. Your puppy is not deliberately trying to trick you into thinking she needs to get out of her crate. She’s scared. Alone. And if you’re working on potty-training, you may not have had enough time to introduce her to the crate to make sure she feels safe and secure in it. Play with your puppy before bedtime so she’s too sleepy to protest. Place a well-worn t-shirt in her crate so she can snuggle up with your scent. Keep her crate close to your bed so she knows she’s not alone. Consider putting the crate on your bed if it makes your pup feel better. Feeding your puppy in her crate, and giving her crate-exclusive treats such as a stuffed Kong toy will help her associate it with good things. It’s not reasonable to expect a brand-new puppy to enjoy being locked up for hours on her first night when she’s not used to her crate. Yet, taking the time to gradually introduce her to being locked in a crate seems impossible when you’re also trying to potty-train her. If your dog is crying in her crate, and she doesn’t need to relieve herself, it’s okay to comfort her, give her treats through the bars, sing to her, read her a bedtime story – as long as you do not take her out of the until she’s quiet. Contrary to popular belief, calmly soothing your dog’s fears won’t reinforce her behavior. It’ll just help her to feel good about being in the crate at her own pace. Crates do not potty-train dogs. People potty-train dogs. You need to take your puppy out with a leash many, many times each day, even if your property is fenced. You need to be present. You need to watch those poops and pees come out of the puppy, and praise every single one that happens in the grass. Most of all, keep it upbeat. One day, you’ll miss cleaning up those little turds out of your carpet. You’ll miss rushing to Walmart late at night to get yet another bottle of enzyme cleaner. So, don’t lock puppy up as punishment when she has an accident. Give her plenty of opportunities to rest in her crate during the day, after playtime when she’s in that sleepy puppy mode, and melts in your arms like a warm sack of bread dough. Slowly extend the amount of time she spends in the crate to help her build up her bladder and bowel control. Time in the crate should be short at first, and always pleasant. It can be coupled with tethering – keeping your puppy leashed while you’re home to similarly prevent accidents. Featured image courtesy of Anne Heathen on Flickr. Puppy’s name is Coraline. Awww! Second image courtesy of Jim Winstead on Flickr. Puppy’s name is Wonton. Awww-er! Great post, Lindsay! Crate training is so important. I learned the hard way not to isolate your puppy away from you in the crate and let her “cry it out” all night long. To this day, I still regret doing that – I even blogged about it a few months ago. It was bad advice I shouldn’t have taken. A slow introduction to the crate and not isolating them is the key to good crate training I think. Both my dogs grew to love their crates and think of it as their own little bedroom. Oh yes, it’s so important for us to think of our dogs from the inside out, instead of just focusing on how we want them to behave on the outside. Of course we want them to learn to stop crying, but it has to be because they’re happy and comfortable, not too scared to speak up. I’m so glad your pups love their crates, it must give you great peace of mind! All of my dogs are crate trained! 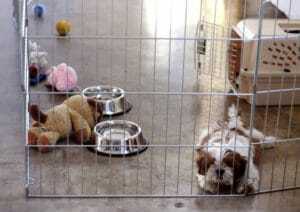 Done properly, a dog will think of the cage as “his” spot, his safe space, and not a cage or prison! This is great info that you shared! I have crate trained all my dogs. It’s all about how you do it. Make it their space – a place where they can feel safe and comfortable, somewhere they can chill out and relax. To this day, Edie still loves sleeping in her crate! At night we say “let’s go to bed” and she runs right to it. Crate training is so important – and over time the dog learns that it is his/her ‘safe’ place (and not a crate in the typical sense). Great info to share! 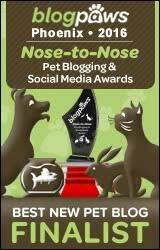 MattieDog recently posted…TrueBlue Pet Grooming Products Giveaway! 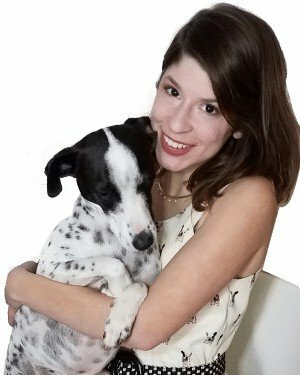 Create training is very important – even if you opt to give your dog(s) free roam of the house at a later time. Nice info. 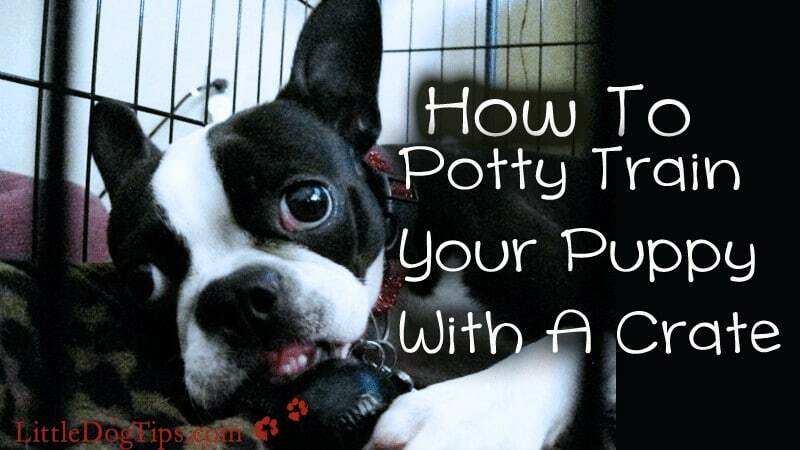 I appreciate these tips as I’ve never had to potty train before, but you never know, there may be a puppy in my future somewhere! Great post. Both of my dogs are crate trained. My older dog doesn’t need his but we keep it set up because he still likes to sleep in it sometimes. Having dogs that are ok with spending time in their crates is great if you ever, for any reason, need to keep them confined safely too. I haven’t had to house break from scratch before but I’d probably use a crate to teach them. I am crate training my puppy. He loves his crate. This is great info. Echo has been doing wonderful with potty training by using a crate! Great tips! Things to keep in mind when I have a puppy one day! Thankfully my dog is already house-trained (got her as an adult). Great tips! We have always adopted older dogs so haven’t had to worry much about potty training, but this great information. Great post! all of ours were crate trained. It works very well with potty training and I also believe in crate training because, well – you just never know when they may need to stay the night at the vet or in boarding. Crates become their little den and comfortable place to be. Great recommendations for people with new puppies (dogs). My mom used a baby pen with her dog when he was a puppy and it worked wonderfully. I’ve never used a crate for my dog and don’t think I will. Most people I know don’t. My pets largely have the run of the house. And that’s OK.
Hi Sherri, how did your pups do with accidents and whatnot as puppies, since you didn’t use crates? We always start off our dogs with crate training, and then as they get older, we transition them to no longer using if, but only if they are comfortable Our oldest dog LOVES her crate. We never close the door on it, but she sleeps in it all the time! I always tell people that a dog with a crate is like a kid with their own bedroom. It’s a safe, happy place for them! Great post. I crate trained Kilo the Pug using treats. At first, the crate was with us. Now he has his own quiet spot. He loves it. It is his place to hide stolen treasure and to sleep at night and to go if he gets stressed or needs a time out. 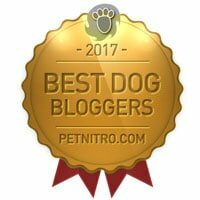 You have so many great tips for crate training. I especially appreciate the tips for what to do when things don’t go as planning and there are accidents in the crate. Haley had a few accidents at first because I was working part time and had to leave her alone for about 5 hours, but the crate was a godsend during the potty training phase. I read an article a while back that said crating dogs was illegal in some countries, which seems really strange unless the law is targeting puppy mills or breeders that keep dogs crated for long periods of time. Fantastic post, Lindsay! With my first dog we made the mistake of using pee pads. I know there are many people that must rely on these for multiple reasons, but if you can avoid them, avoid at all costs! We had so many problems when we tried to take away the puppy pads. With our second dog, we didn’t use the pads, and she learned so quickly. Love this post! You did a great job with informing people that crate training and house training can actually go hand-in-hand to make both of the training processes easier and faster. I think that many people don’t acknowledge this connection until much later on so it’s great to be informative of this! So many people make the mistake of using the crate as a punishment, which only significantly hinders the crate training process, so I am very glad you addressed this as well! This is a fantastic blog. really very good article for men those who want to make them stylish these article will be really helpful. i like this post. My sister crate trained her dogs and it is wonderful! They don’t want to go potty in their space. It’s really nice for when they are going to be gone from the house for a while. Her dogs love it when they want a break from the kids. Thanks for the tips!